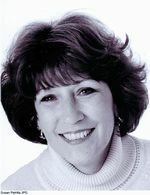 SUSAN M. PETRILLA (nee Stumpf) Beloved wife of Bernard, loving daughter of Joanne and the late George Stumpf; loving sister of Janice (Robert) Alvarez, Mary Stumpf (Stephanie), Barbara (Terry) Tamas and George Stumpf; dear aunt, niece, cousin and friend to many. Passed away Saturday, May 24th. Memorial Mass 11AM SATURDAY at St. Patrick Church 512 N. Main St. Wellington where the family will receive friends one hour prior. Contributions may be made to American Cancer Society or Stan Hywet Aeolian Pipe Organ Restoration Fund.